This Sunday we bring you yet another Lightoon to lighten up your day. Be it Facebook updates or Twitter posts, the number of growing arrests due to ‘offensive’ updates of the common man especially the youth, is a matter of grave concern. 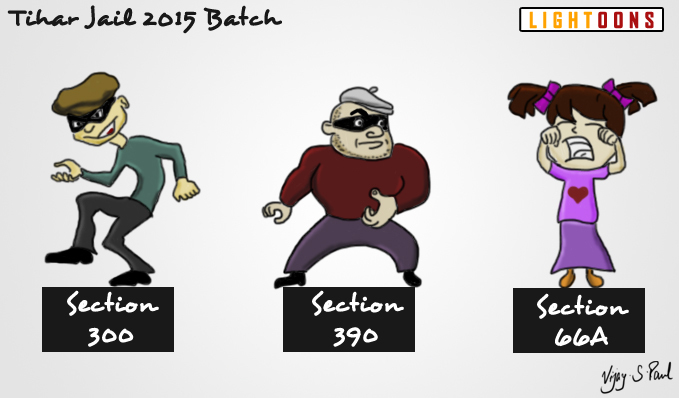 Here’s a Lightoon depicting the Tihar jail batch of 2015, if the Section 66A of the Information Technology Act is not reconsidered, amended and implemented soon. Lightoons is our new venture to add some humour to your daily grind and we are very fortunate to have the multifaceted, Vijay S Paul as our resident cartoonist. You can enjoy more of his cartoons at ‘The Nonsense Times’ Pinterest Board. 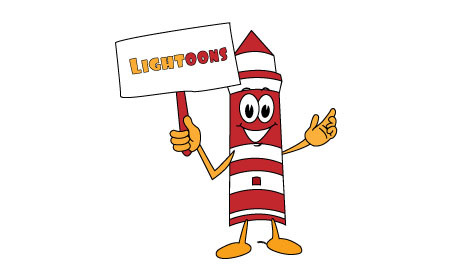 Do let us know your valuable feedback about Lightoons and do share your funny ideas with us.